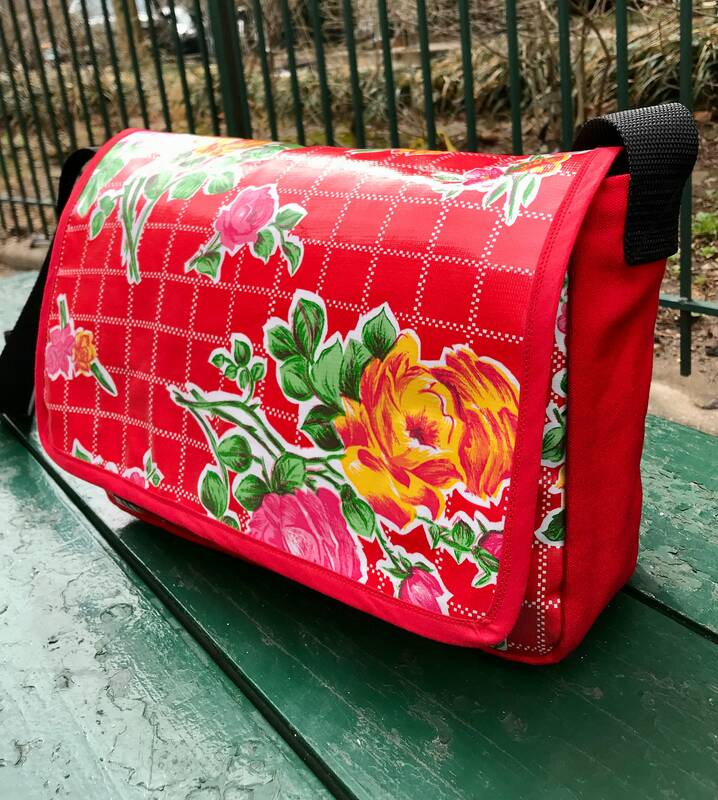 A beautiful red floral rose pattern oil cloth is combined with red canvas to give this messenger style bag a great look. 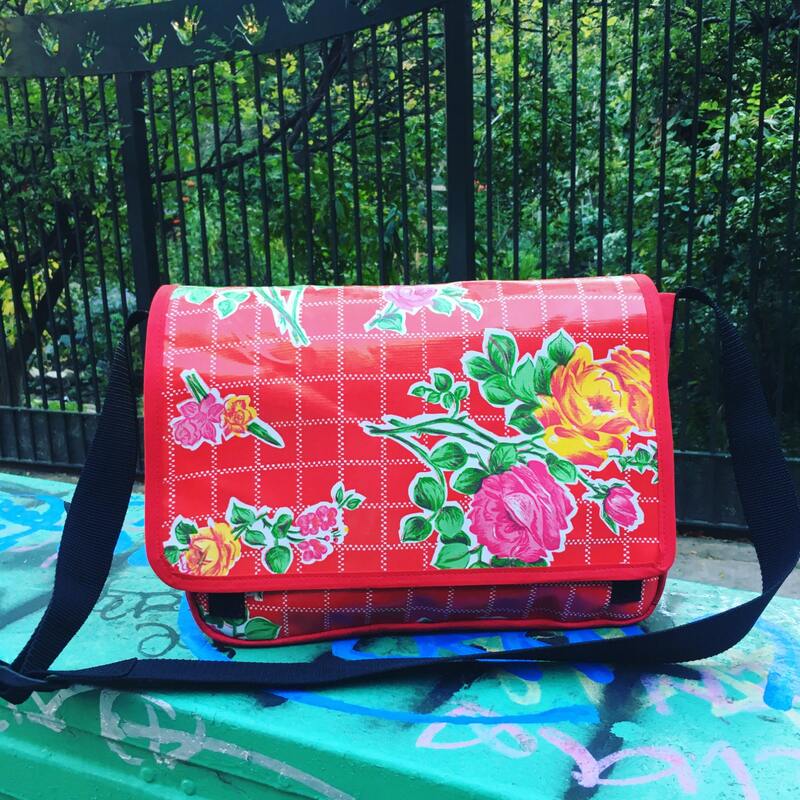 This bag features one large exterior pocket under the flap and a large interior pocket. 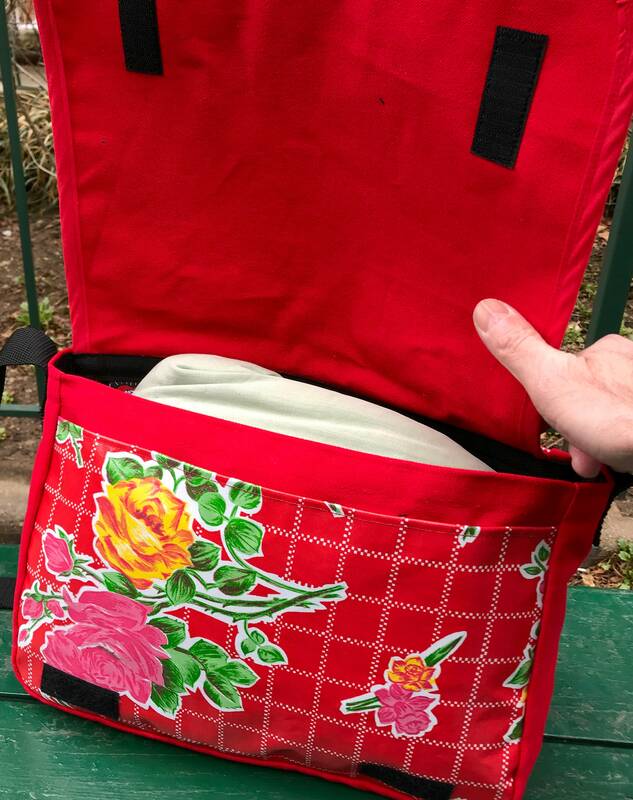 A velcro closure helps secure the flap of the bag to its base in order to keep your belongings safe. This bag is lined with a lightweight water repellent canvas and has a 1.5 inch adjustable black webbing strap. 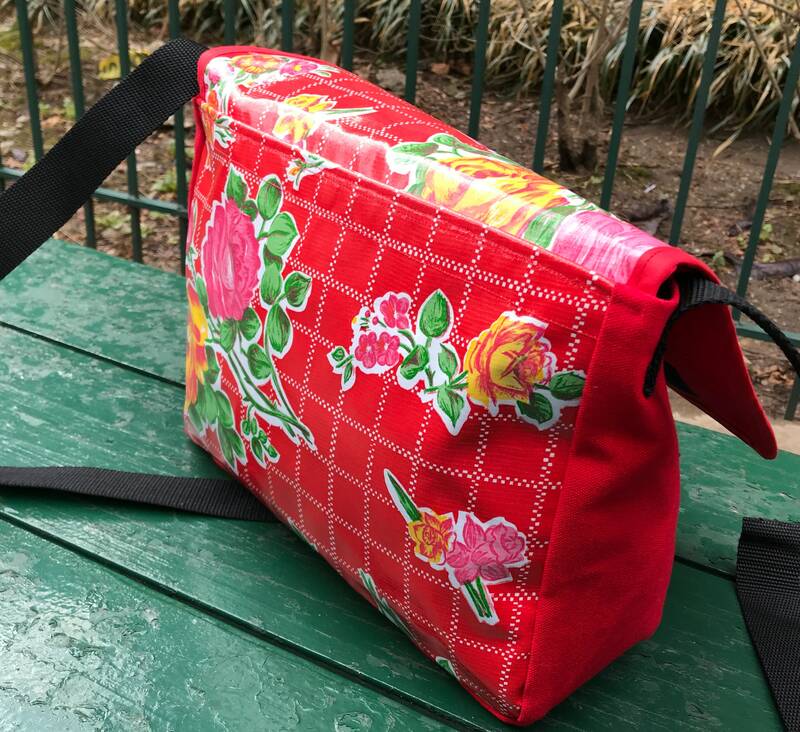 Please feel free to convo with us if you would like to see our other oil cloth patterns currently in stock.